August turned out to be rather quiet for opposition activists and journalists who cooperate with the independent media. 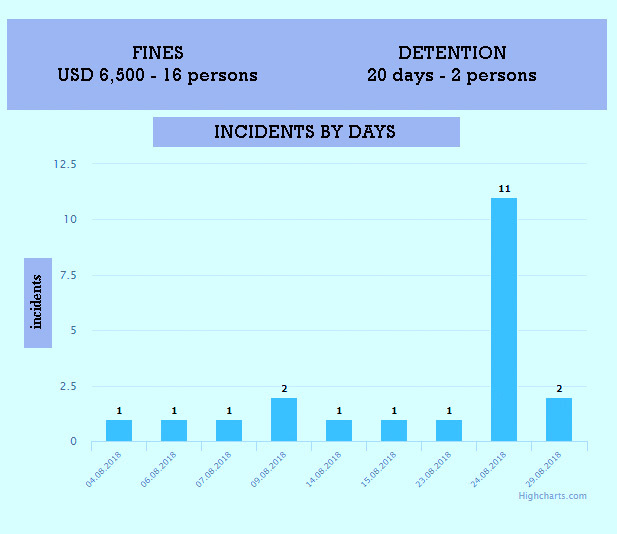 According to human rights defenders, in the past month, 20 people were brought to administrative responsibility. 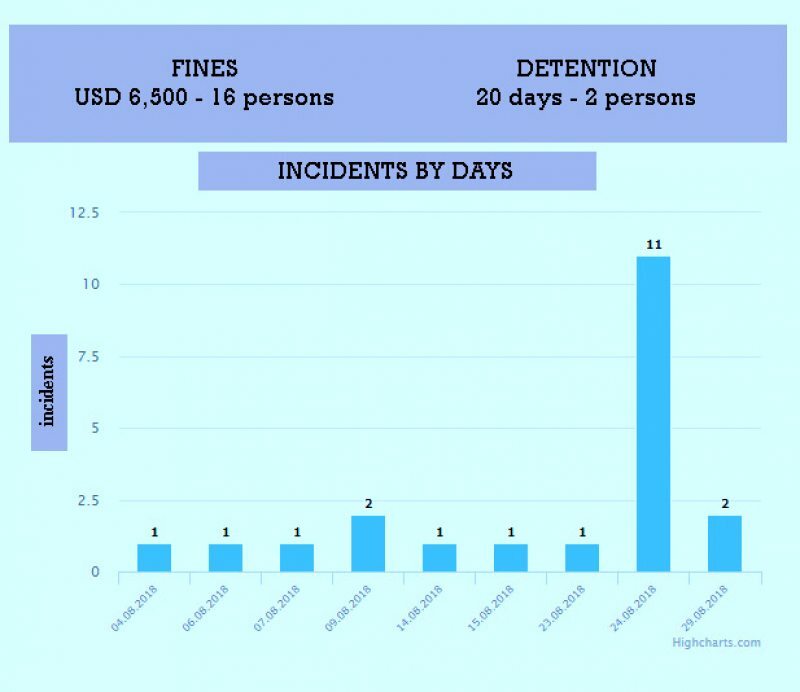 17 received heavy fines totaling 543 basic units, or USD 6,500. Two persons, Maksim Viniarski and Pavel Seviarynets, were sentenced to 10 days of administrative detention. 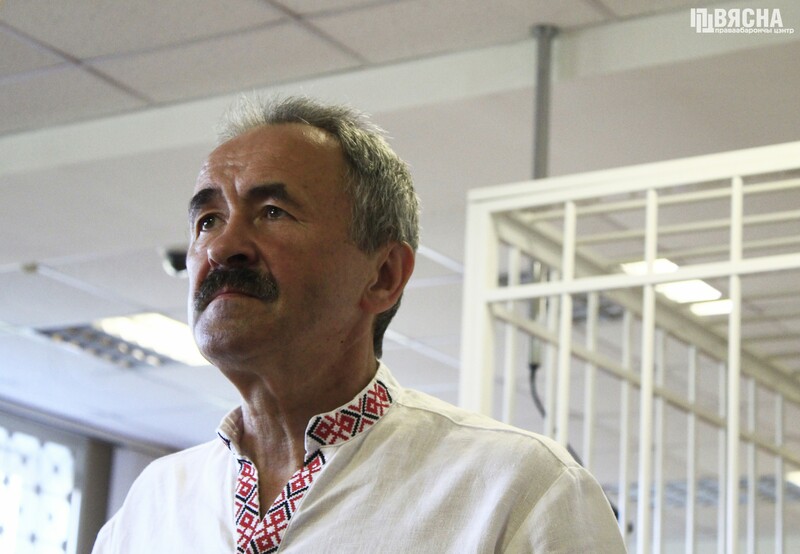 Most arrests took place on August 24 after the announcement of the verdict in the case of Henadz Fiadynich and Ihar Komlik, leaders of the REP trade union. 11 persons were detained outside the House of Justice in Minsk. Meanwhile, Fiadynich and Komlik appealed against the verdict, which sentenced both to 4 years of restricted freedom. “The dubious evidence is contrary both to the legislation of Belarus and international law. Therefore, in our appeal, we ask to stop the criminal case,” REP leader Henadz Fiadynich said. A court in Braslaŭ fined local journalist Zmitser Lupach 882 rubles (USD 415) for contributing to the website of the Poland-based Radio Racyja. This is his eighth conviction on the same charges since 2011. “Of course, the amount is astronomical for an average person. They sometimes give smaller fines for assault,” the reporter said.